We have three bunk houses that each have cooking facilities, utensils, propane heat and water. There is also a shower in the main bunk house that hunters can use. Hunters bring their own sleeping bags, pillows and towels. We serve a large breakfast and then get you in a hunting blind before sun-up. You are provided a sack lunch for in the field. At the end of the day, the hunters all sit down for a hearty meal. Since each bunkhouse has cooking facilities you can prepare snacks anytime you wish. Each night at sun-down we have a large campfire pit. Our main camp area elevation is 9,100 feet. The ranch has a large resident herd of elk with nice bulls that winter in the canyons and meadows below. This habitat configuration makes for excellent elk hunting. We have had very successful hunts each year since 1988. 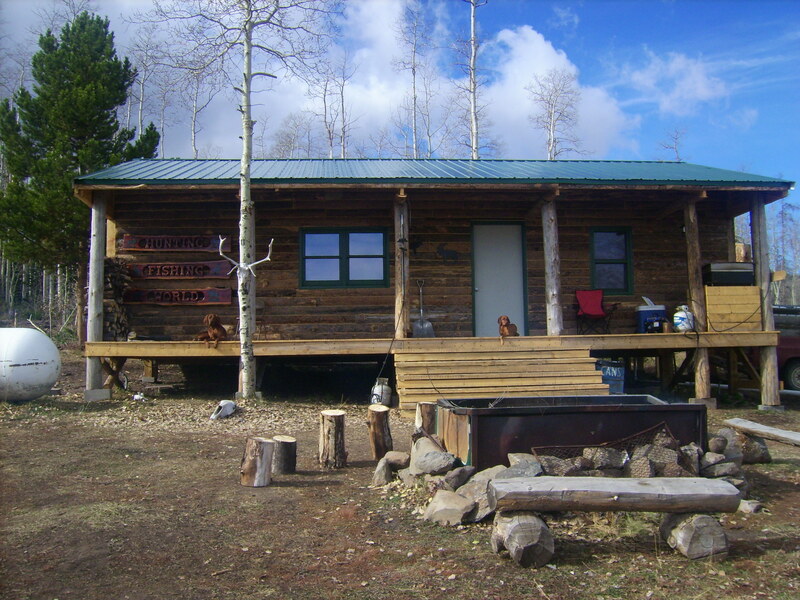 We are located off of the Danny Meyring Ranch (Unit #17 on Colorado hunting maps). 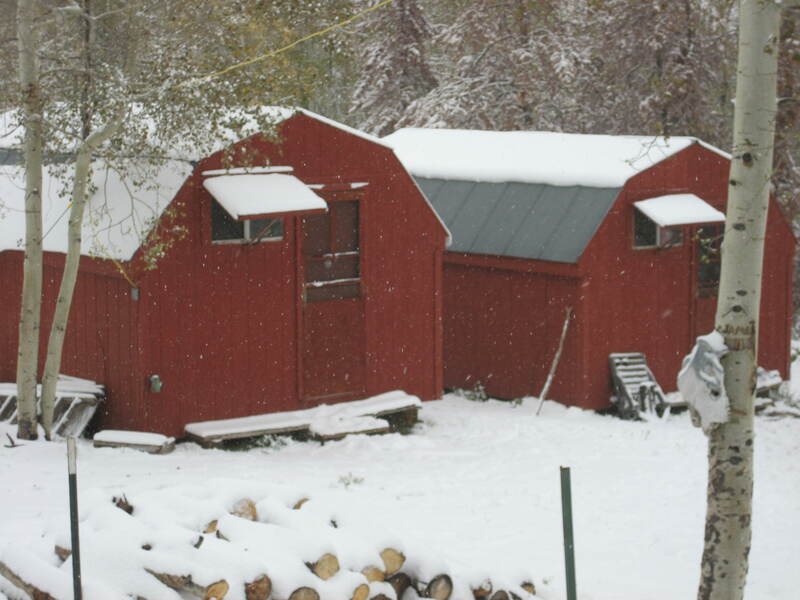 The ranch is 12 miles around and adjoins the Routt National Forest. It has a lot of very heavy timber, as well as a lot of openings to get a good clear shot. The crossing at Cardiac Draw is a prime location to sit and wait for the perfect shot. This is very good for anyone who can not do a lot of heavy walking. However, there are 35 plus blinds located across the mountain to make sure of a successful hunt.